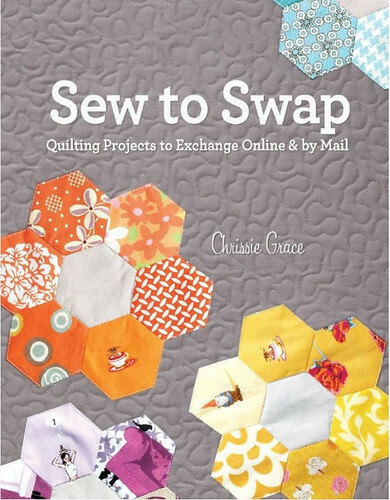 Over a year ago I was asked by Chrissie Grace to be apart of her new book about the online swapping community. 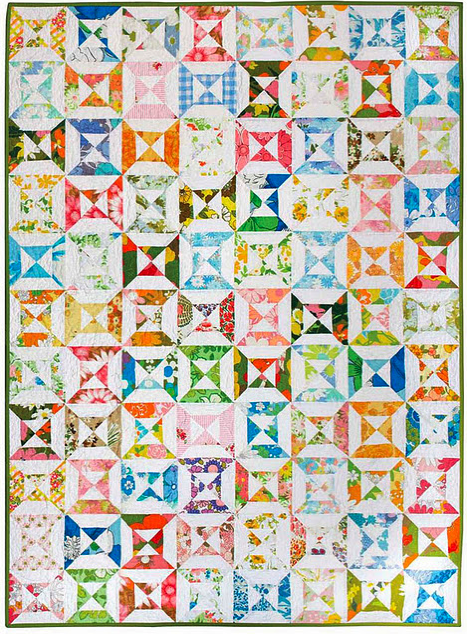 I would be making blocks along with many other amazing quilters I know online and all the blocks would be made into quilts just like we do when we join a quilting bee or other swaps online. I was so excited!!! Stressed to since it was my first experience doing something like this but everyone was so great. 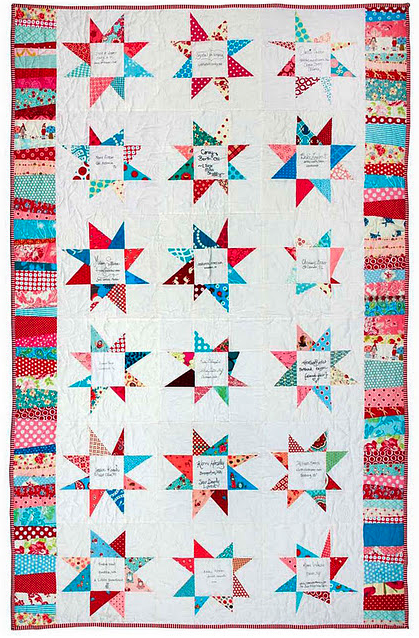 The book has all the information on how to make a quilt from start to finish which is perfect for those that are still new to quilting plus it tells you how to run a swap either online or in person. 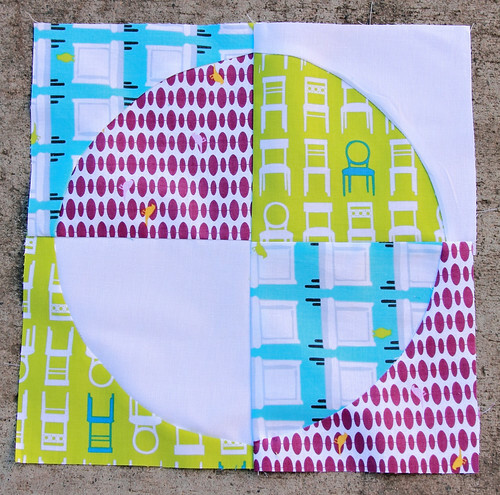 I have to say swapping is what is so great about this online sewing community. Here are the ones that I participated in making. The first one was the Vintage Hourglass quilt. It was alot of fun to work with vintage fabric since I had not made anything with it before. Then I made nine patch blocks out of my stash of yellow & grey. Isn't that such a great color combo? 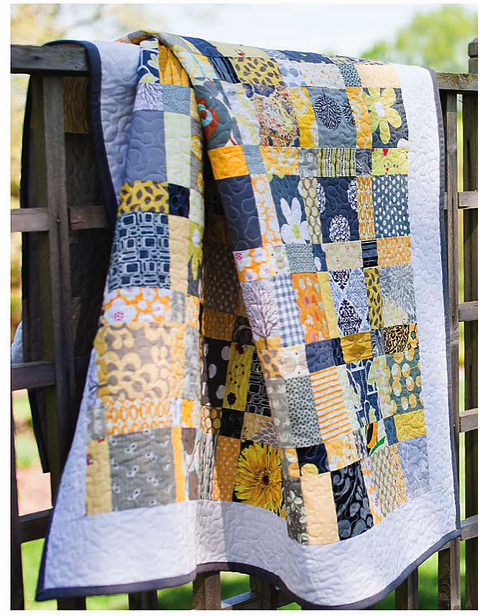 I really love the colors but I have never made a quilt with them yet I am thinking I need to now. 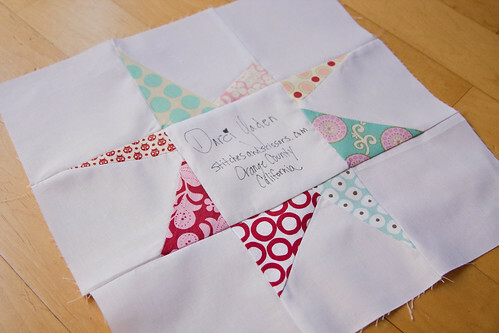 Laurie Wishbrun gave us fabric from her Tuffed Tweets line to make curved blocks. I decided to make a Drunkard Path block. I bet you can all find the one I made in the quilt. One of the quilts that I loved doing the block for the most was the siggy block. 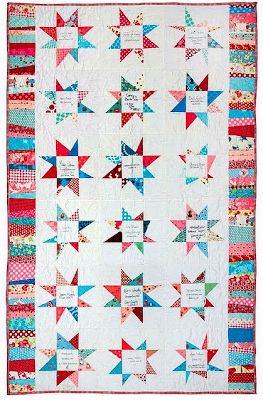 We were asked to make wonky maverick stars and you know how much I love them! Here is the block I made. It looks like my block is the last block in the top row. Don't forget to check out Chrissie's post about the book. It also contains the list of the Blog Hop so you can check out everyone's post. Thanks again Chrissie for this awesome experience. Love it! I ordered the book too. CONGRATS again for the super awesome accomplishment!!! 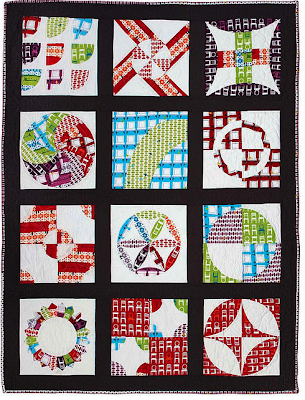 I adore the hourglass quilt- so so pretty!! It's so great to see more of the book, congrats! Yay! Congrats Darci. You must be so excited to have your blocks published. how fun! i didn't know you were in this book! 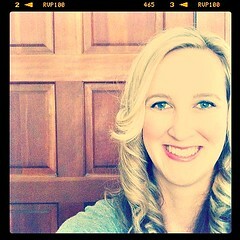 I just recently found your blog and I love it!! Do you happen to have a pattern for the yellow and grey quilt? I'm a newbie so I don't really feel confident just figuring things out as I go, haha :) thanks!